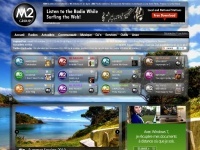 M2 RADIO : freie digitale Radiosendern, Live from Paris - France. M2 HIT : Only Hits. M2 90 : Only 90's Hits. M2 80 : Only 80's Hits. M2 FUNK : Only Funk And Disco. M2 ROCK : Only Rock. M2 LOVE : Only Love Songs. M2 CHILLOUT : Only Lounge. M2 CLUB : Only Dj House And Electro. M2 CALIENTE : Only Latin Music. M2 SUNSHINE : Only Roots Reggae. M2 CLASSIC : Only Soundtracks And Classical Music. M2 JAZZ : Only Jazz. M2 HIP-HOP : Only Hip-hop.